Your wedding day is one of the most special and memorable days of your life. Trust Waterloo Limo Services to aide in the beauty and splendor of your upcoming wedding. 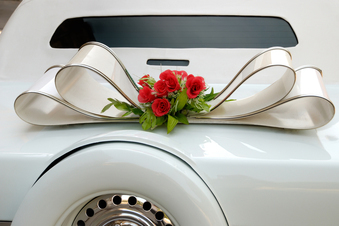 With stressful details already looming about the dress, the pictures, and the flowers, you can sit tight, knowing your every transportation need is covered on your big day. Upon arriving at your desired destination, the ultimate experience before you say, “I do,” will leave you calm, relaxed, and ready to take the next step as newly- weds. We take the most care for your transportation needs, and will leave yourself and guests with a pleasant and enjoyable traveling experience. Weddings are hectic as it is, but with our superb staff, itineraries, scheduling, and driving routes are already configured to ensure prompt arrival and luxury on your big day. 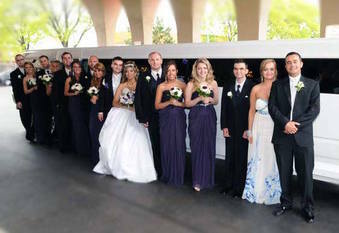 Our bus rentals and limousines can accommodate small to larger wedding parties. With our line of amazing cars, limousines, and SUV’s we can find the right fit for you and your guests. We take the stress out of coordinating where everyone should be, and get everyone there on time. For those traveling out of town, we can suggest accommodations and entertaining venues for guests. We strive to create the most relaxing and luxurious traveling experience as possible. Featured with cocktail bars, and other beverages, you can get the celebration started in one of our wedding bus rentals. With the capacity to hold up to 56 passengers, everyone will be on board when you swap nuptials. Our interior setting can also be altered to fit your occasion. We offer amazing wedding party packages and prices, and will guarantee an amazing pre-wedding and even post wedding journey. Enjoy a fresh mimosa in your last moments as a single person, or have a specialized playlist playing, taking you and guests to your reception venue. Whatever you can imagine, our staff and team will bring to fruition. Let us take care of one of the most stressful details of your wedding. Keeping your bridesmaids, groomsmen, and close family and friends happy and entertained will you take the time to focus and relax the festivities. Our limousines and party buses are designed for ultimate entertainment. 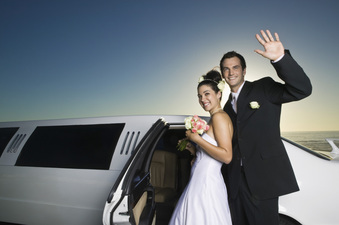 Let us make your day extra special by providing your wedding party transportation. With VIP access, food and beverage bars, themed decoration and interiors, and an option of top of the line fleets, we cover every detail of your transportation needs. We look forward to serving you top quality limousine and party bus services on your special day. Give us a call today at 226-241-8898 or fill out the form at the top right hand of your screen and get your free wedding limo quote! We even offer new mom stork limo services so remember this for a future date.